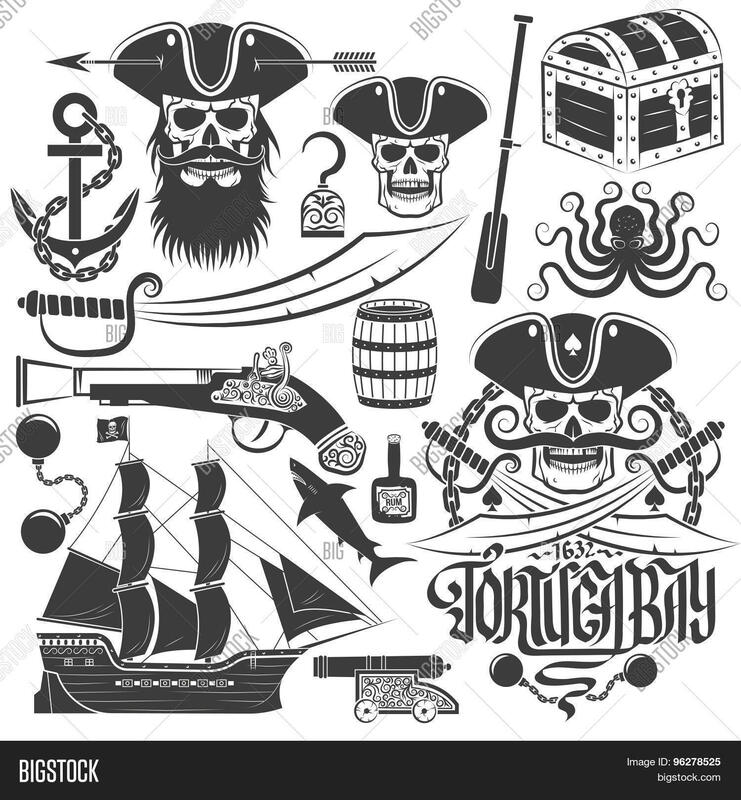 Set of elements for creating pirate logo or tattoo. An example of a pirate skull logo. 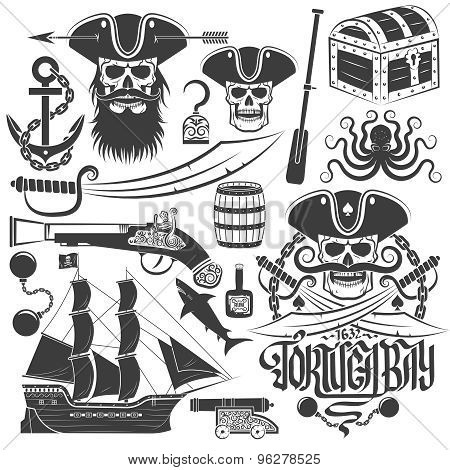 Skull tricorn anchor saber old gun barrel chest ship octopus and more.